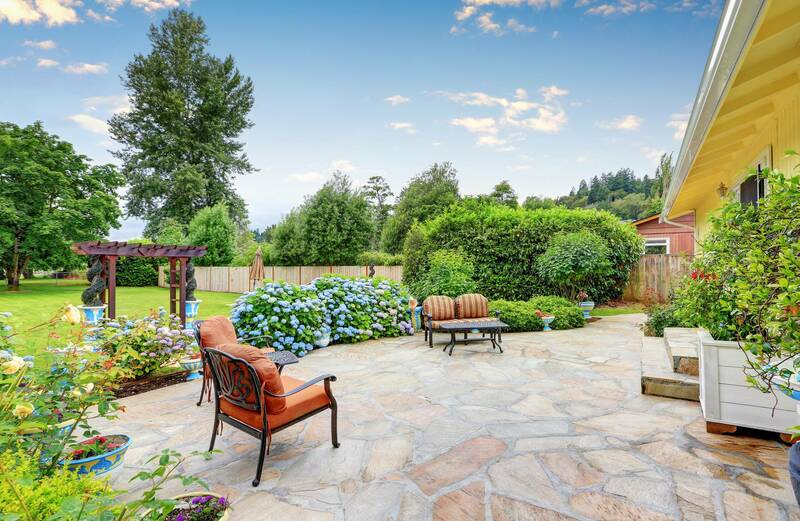 Garden design in Abingdon has some surprises in store for 2019, so we are going to explore some of the exciting trends for landscapers and gardeners and explain why you need to consider them. It is a topic that is constantly in the news, and this New Year we believe that implementing climate change conscious garden design in Abingdon will be crucial for the long term health of your garden. Joe Perkins from the Society of Garden Designers also predicts that more hanging plants will be added to our gardens, as interesting additions to planters and pots. The growing demand for outside spaces for teenagers could gain traction this year, with homeowners looking at separate seating areas with outdoor fire pits, fireplaces or secluded garden buildings. When considering this sort of garden design in Abingdon, homeowners will need to look at the entire look of their garden and how either of these installations will affect it. Eye catching paving and irregularly large slabs are set to make a comeback this year, as well as charred timbers and gabion walls. Our team at Abingdon’s are specialists in the installation of bespoke designs of patios and pathways and we’re always on hand if you need advice about the look of your garden. Boasting over 30 years of experience Abingdon’s Complete Gardening Services can help bring any trends for garden design in Abingdon to life. Contact us today to speak to our friendly team.